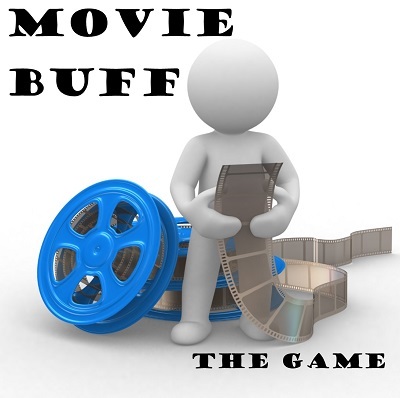 Summary: Movie Buff is a game where a group of people pit their movie knowledge against the rest! How to Play: The first thing is to decide if the game will end at a certain time or if the game will end when one player has a certain amount of pre-determined points. Have everyone sit in a circle. Choose one player to begin. That player then says the name of an actor or actress. Moving clockwise, the second player has to name a movie that stars that actor or actress which was called out by the first player. Now the real fun begins! The third player in the circle has to name one of the actors or actresses that co-starred with the first actor or actress mentioned in the move called out by the second player. The fourth player then has to name another movie starring the actor just named. The person after them must name a co-star in that same movie. Actors, actresses, or movies may be mentioned more than once, but not the same combination. For example, it would be okay to say Goldie Hawn twice, but not for the same movie. If a player can not think of a movie title/actor, he or she must pass. And the game goes round and round. Bonnie's turn again: Ah! I've never even heard of that movie. Pass! All other players: Dang! We don't know that one either. Pass! Scoring: If everyone passes, the person who gave the last correct answer receives a point. In this example, Neil gets one point. For a bonus point, Neil can try to come up with the next correct response. Then the round is over. The player who received the point in the previous round gets to start the new round by saying a new actor or actress. Winner: The winner is the player who has the most points when time is called, or who earned the pre-determined amount of points established at the beginning of the game.